Story on Photobooth.net about my booth. 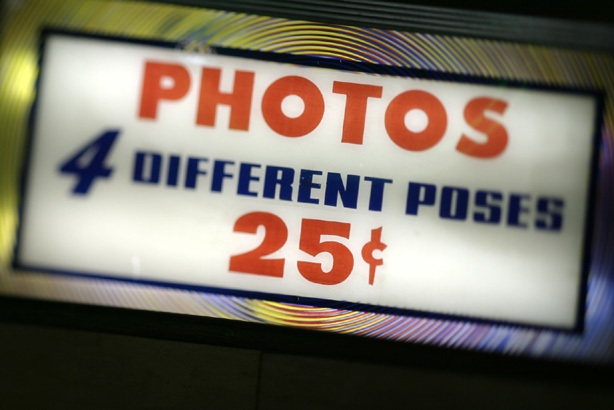 Several years ago I came across a vintage photo booth, an Auto Photo #9, circa 1946, at Architectural Salvage (GREAT SHOP on Kettner Blvd) in San Diego that was for sale. Way too cool to pass up, so I laid down the Visa and it found a new home in my studio. The booth had sat for years in storage at a warehouse across the street from the shop and it wasn't clear if it was in working order. Back at the studio, I was at a loss on how to see if I could get it running. After about a week, I called the shop and asked if there was any chance I could speak with the prior owner (it was on commission at the shop) to see if they had any paperwork or info on it. "We've been hoping you would call," they replied, "We have a box of stuff we forgot to give you". So I went down to the store and picked up, the original curtains, owner's manual and even the sign for the top. BONUS!!!! Through Photo-Me, I was able to order new paper and chemistry and with a little help from Mr. WD-40, I fired her up & out popped the first strip. 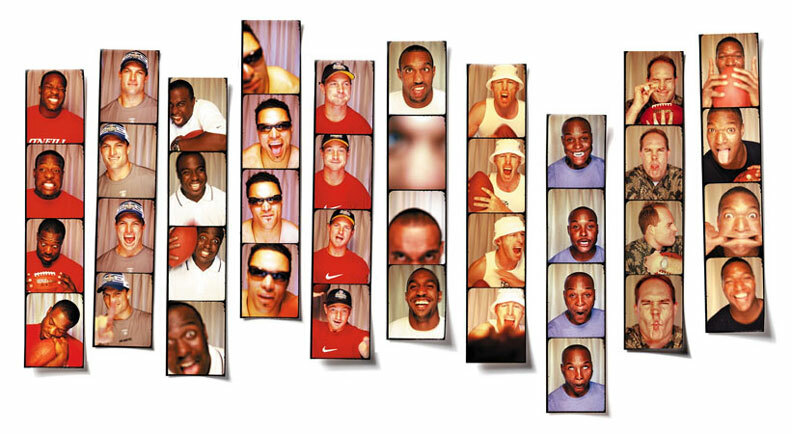 The booth became the inspiration for a series of images I made at the Pro Bowl of a bunch of NFL players for Directv and later some of the images were reproduced in Sports Illustrated. I found a discussion online about my images on photobooth.net as to if the images were faked or shot with a real booth. I contacted Brian, øne of the founders at the site told him about making the images look "booth like", but that in fact I did own a booth. So last month, Brian was in town and came to my studio to see the booth and take a few pics. I didn't have chemistry mixed at the time, but it was fired up last week for my 40th birthday party. 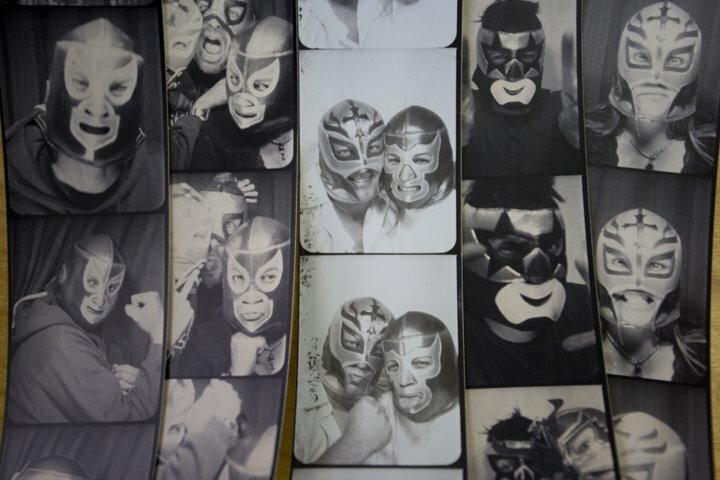 Nothing like walking into the studio to find over 100 people wearing Mexican Wrestling masks! Thanks to my studio partner, Marshall Williams, his brother John, Luis Garcia (The best studio manager on Earth) and my amazing wife, Lynn, for an eve we will be talking about for years! I love you guys. 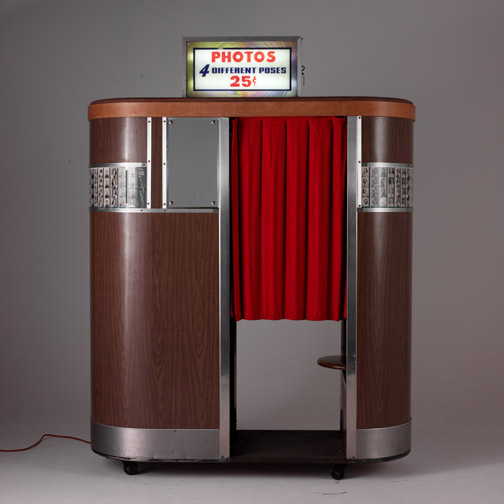 Check out photobooth.net, you are in for a treat and will even be able to locate most of the photo booths in the U.S. that are still running!